Fiji is a year-round tropical destination, known for its beaches, diving, and hiking. Fiji Airways (formerly Air Pacific) flies from Los Angeles, San Francisco, and Honolulu to Fiji. You can book Fiji Airways award space with American Airlines or Alaska Airlines miles. Fiji Airways business class on its A330 which flies the 11+ hour flight from Los Angeles and San Francisco features angled lie flat seats. The flight from Honolulu is only about 6.5 hours, so it is generally a pretty terrible value for such a high price. It also features recliners in Business Class. Temperature is basically constant, but rainfall varies dramatically in Fiji. I’d avoid January through March to avoid the rainy season. High season is July to September according to multiple sources. The shoulder seasons are the months around that like May, June, October, and November. Since the shoulder season has the same weather, smaller crowds, and lower prices, it seems like the ideal time to go. You can search for Fiji Airways award space on alaskaair.com. 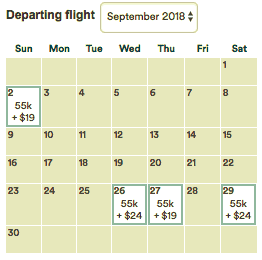 Any Fiji Airways award space that appears on alaskaair.com is bookable with American Airlines or Alaska Airlines miles. On the search results, along the left side, view by “Calendar” to see a month of results at one time. You can also select to see a calendar of economy or Business Class award space right under the “View by” box. Here are the economy award calendars for two passengers from Los Angeles to Fiji for the next 11 months. Economy award space for two people (days that say 40k) is non-existent between December 10 and December 29 and between June 11 and July 31, but it is pretty excellent otherwise. By contrast, there are only a smattering of days with two Business Class award flights, all of which are between April and October. If using Alaska miles, you can book right on alaskaair.com. If using American Airlines miles, note the date, cabin, and flight number of the award space you find, then call American Airlines at 800-882-8880. American Airlines will not charge a phone booking fee, since Fiji Airways space cannot be booked on aa.com. Award space on the return to Los Angeles is similar. If you are using Alaska miles, you can only add Alaska Airlines Saver award space. It also will add zero miles to the price of the award. The taxes on a roundtrip to Fiji are $128 per person. Alaska Airlines will also impose a $25 partner award booking fee. There is no way around this fee. There are no other fees and no fuel surcharges on these awards. Alaska charges the same price from the continental United States all the way to Australia or New Zealand on Fiji Airways as it does just to Fiji. And it allows a free stopover on one way awards. Combine those facts to book some pretty fantastic awards like your home airport to Fiji to Australia or New Zealand for only 40,000 total miles. Both those itineraries feature a four-day stopover in Fiji. Your options in Australia are Adelaide, Brisbane, Melbourne, and Sydney. Your options in New Zealand are Auckland, Christchurch, and Wellington. 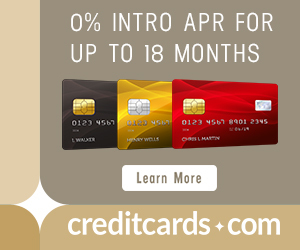 Can you do something similar with American Airlines miles? No, American Airlines awards cannot have any layovers longer than 24 hours. More information on free stopovers on Alaska Airlines awards. There is plenty of award space between San Francisco or Los Angeles and Fiji on Fiji Airways that you can book with American Airlines or Alaska Airlines miles from your home airport to Fiji. Jazz up your trip by booking an Alaska award to Australia or New Zealand with a free stopover in Fiji. Why not use 55k on Alaska using Alaska miles to go to Fiji in business instead of 62.5k? Also, if I’m not mistaken that same 55k will take you all the way to Australia. So you can have a stop over in Fiji and for no extra continue on to Australia all in Fiji Air business. Disregard my above post, either my page did not fully load, or I did not read the whole thing. Nice post. Is it possible to use Alaska miles from Sydney to Auckland, with a free stopover in Nadi? I’ve used the multi-city search without any luck. Good question. I haven’t tried. Does anyone know? It’s unclear whether Alaska Airlines considers Australia, Fiji, and New Zealand to be different regions. I guess I’ll call to try to book it with an agent. Great post! You have me thinking about changing my plans for my next summer trip. What site are you using to find routes from Nadi to Tokyo? I get error messages when I try on United site. My ideal route is Nadi to either Hong Kong or Beijing in early July. I have tried Auckland to Asia. Routes appear, but nothing under 17,500 at saver level. Find individual flight award space and call up. Find NAN-AKL and AKL-HKG or PEK. Ignore the prices for each individual segment and call up to book. I am confused. With the May calendar, you say that you are looking for 55k awards for Fiji, however, then with the April calendar, you say that there is more availability, but they show no 55k awards. Wouldn’t that mean that there is no Fiji availability, only Korean? Good eye. What a blunder by me. I’ll edit this. Thanks for the rain report I was looking at Jan. but I’ll switch to Hawaii I think for 45k united lots of open seats if I can get an open cabin I’ll go.Lots of 30 day deals right now but Jan who knows ? Hilton points work well near HNL .. Looking for a new hang out. This January there was a ton of rain in Kailua, Oahu (Hawaii) where I was living. But Waikiki/Honolulu shouldn’t be so bad. You can also go to Kona, Big Island where it hardly rains. I’ve been looking @ rain maps because of the Mts one side rains the other doesn’t .Google shows ocean and city views from hotels both look great and Honolulu claims no need for a car.. Thanks !!! Book Korean with Alsaka miles. Some of its space appeared in this post and is much cheaper than with Korean miles. Scott, looked now @ Alaska mileage plan for Korean flights, only BC availability (ATL to BNE on Korean Air) thru end of Sept. Unless am missing something–what shows on Alaska award calendar for BC is even more than Korean Air FC, BC using Alaska miles is 125K Alaska Air miles, tho only $52.20 taxes compared to $306 we paid on Korean Air for FC. Super Post! Lots of good information, again! Thanks Scott. We just got back from a round the world trip thanks to you! Good eye. I was too lazy to fix that screen shot since it shouldn’t confuse anyone. I looked up the award flight from Fiji to Japan on the United website, but I was quoted for 45,000 miles. (NAN > AKL , AKL > NRT). Am I missing something? Try it by phone with a layover under 24 hours. Great post, as always!! Does anyone know if SYD – AKL (Stopover) – SYD – KUL – DEL would be considered a single valid one way routing using AA miles? I know for sure it wouldn’t. No stopovers are allowed on AA awards. i am very interested, but can undo this trip with Skymiles, would love to do Fiji, Australia and newzealand. Please advise or email. on the alaska website picture u put up u have LAXto Nantucket, MA not Nan, fiji. when I try and input Nan as destination I get nantucket also. how does one search for Nan Fiji? I tried calling American airlines and booking a flight to fiji using my AAmiles that WAS clearing showing as available on alaskan airlines search for award flights and American said the seats were NOT available. Did you hang up and call back? Did you call a different AA service center like in Australia? I had the same issue. I will try calling back again in the morning. Scott, Not sure if I missed it or not but can you use Alaska miles to fly LAX-NAN on Fiji Airways, do the stopover and continue to New Zealand and then use AA miles to return on Fiji Airways AKL-NAN-LAX with no stopover in NAN, just the less than 24 hours layover? Ideally, that would be the way I would want to do it. I’m trying to book business class seats from JFK to LAX to NAN to SYD. JFK to LAX is currently only available in Economy and the NAN to SYD isn’t available at all. My question is, can I book what’s currently available (JFK to LAX in economy and LAX to NAN in business)? AND THEN upgrade the JFK to LAX in business AND add NAN to SYD when it becomes available in the future? Yep. That is IF it becomes available.You will need to keep looking at availability. For free more than 60 days out or for $125 within 60 days. Just a quick update. I was able to successfully book JFK to LAX, LAX to NAN, NAN to SYD for October 2018, all in business class….except for the JFK to LAX flight. I don’t think that business class will ever be available on that leg as the premium seats on the JFK to LAX flights are coded as FIRST CLASS. Thanks for your tip David and Scott. I booked LAX-NAN, ns in bus with AS miles. Adding my home airport isn’t as easy as you suggest. I found award seats from home-LAX, ns, and called AS but was told the system must pair it with the existing itinerary and that routing wasn’t currently available. How do I set an alert in Expert Flyer for what I want to do? Done super good in my 5x to Hawaii thanks to U on weather . Fijii and Cains and SYD is really tough to do u get Rain or Cold (SYD) ..What do u think of 10/1/18 4 nites Fiji (citi-P card)+ 4 nites Cains + 8 nites SYD . Where is the information on Asia? I would love to visit Finish en route to Asia. Hey there, not sure how I’m to search the Alaska website to book a reward flight with the layover in Fiji. I only want one way so I can’t choose Multi-city. The post doesn’t explain that part, just that it’s possible to have a “free stopover” in Fiji on your way from New Zealand to the USA. Looking to go from AKL -> NAN (stopover) -> LAX Thanks! This post has more info about that. I tried this method to book with American and it didn’t work. The reward flights you see available on Alaska’s site are not the same one’s available when you call American. Are you hand picking saver award space, i.e. the cheapest award space available, to feed to the American Airlines agent? To Fiji from the US, that would be the award space pricing for 40k one way in economy and 55k one way in Business. That is the only award space bookable with AA miles. This is true across all mileage programs: Only saver level award space is bookable with partner miles. If anything, I’ve read that Fiji Airways releases more award space to American than it does to Alaska… use Expert Flyer if you want a more accurate picture of award space. 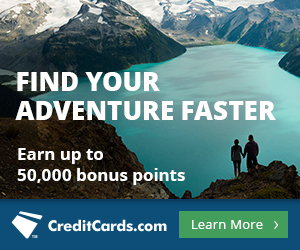 Does using AA miles to book the Alaska saver award still work? When I called AA right now about booking a 55K business ticket NAN->SFO I found on Alaska, the agent told me several times that I can’t book Alaska reward space with American miles. And implied it is completely irrelevant whether space is available through Alaska’s program, I can only book what space American has on that flight. Do I just need to talk to someone else? Would obviously much rather use 55K as opposed to 80K miles for a business ticket. How do I get the agent to do this.